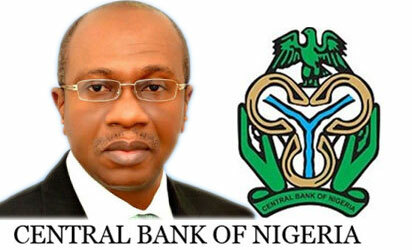 As the nation braces up for non-oil sector financing in order to achieve sustainable development, the Central Bank of Nigeria(CBN) and analysts have identified intervention funds as well as private sector investment as the panacea. According to facilitators at the just-concluded seminar for finance correspondents and Business editors organised by the Central Bank of Nigeria(CBN) in Abakaliki, Ebonyi State, the failure of financial institutions and government parastatals to fund critical sectors of the economy has made it imperative for CBN and private investors to pick up the bill. To demonstrate this, the Ebonyi State government is currently planning to liaise with private investors to revive the state-owned Niger Cement company(Niger Cem). According to the state governor, David Umahi, when fully operational, the company would provide employment opportunities for its citizens and boost both the state and the nation’s economies. Umahi, who was represented by the state Attorney-General and Commissioner for Justice, Augustine Nwankwagu, said the state is blessed with over 29 mineral resources begging for exploration. And with emphasis on the diversification of the economy to non-oil sector, the governor called on investors to partner with state to harness the rich mineral resources. He added that apart from being a beneficiary of the CBN Anchor Borrowers’ Programme, the state is also involved in various agricultural programmes as it is vigorously pursuing food security for the citizenry through its ‘one man one hectare’ policy, among others. To Dr. Mudashiru Olaitan, the Director, Development Finance of the Central Bank of Nigeria (CBN), the slump in crude prices in the world market is a golden opportunity for the nation to revamp its ailing economy. Olaitan, in his paper, ‘Real Sector Financing for Inclusive Growth and Economic Development’, said, “given our vulnerability to such external shocks, there is need to leverage on the present challenges to diversify from oil into agriculture, manufacturing, services and other sectors. Represented by a Deputy Director, Mr, Umar Abubarka Musa, Olaitan traced the real sector intervention by the CBN to the falling oil prices at the global markets as a means of strengthening the capacity of the financial sector to deliver credit to the real sector. He outlined the various development finance interventions by the apex bank, which are intended to achieve access to finance, economic diversification, job creation and inclusive growth. These include the N200 billion Commercial Agriculture Credit Scheme(CACS), the Nigerian Incentive Based Risk Sharing System for Agricultural Lending (NIRSAL) and Anchor Borrowers’ programme (ABP). Others are the N300 billion Real Sector Support Fund (RSSF), N500 billion Export Stimulation Facility (ESF), Power and Airline Intervention Fund (PAIF), Nigeria Electricity Market Stabilization Fund (NEMSF). As for the promotion of non-oil export, the Nigerian Export Promotion Council (NEPC) raised the hope that the Federal Government would soon resuscitate the suspended Export Expansion Grant (EEG). According to Mr. George Enyiekpon, who stood in for Mr Olusegun Awolowo, the Executive Director/CEO of NEPC, the suspension of the scheme, which was introduced in1986 to reduce Nigeria’s dependence on oil both as a source of income and foreign exchange earnings, has adversely affected export of manufactured goods which had drastically reduced the country’s volume of exports. Enyiekpon explained that the recipients of the export grant held an instrument called Negotiable Duty Credit Certificate (NDCC) which is usually used in the payment of import and excise duties. According to him, the inability of Nigerian exporters to meet delivery targets has weakened the confidence built over the years by foreign importers of Nigerian products. He said that Nigerian Export Promotion Council (NEPC) had severally held meetings with the Vice President and the Minister of Trade, Commerce and Investment on the need to re-introduce the scheme, to boost the manufacturing sector. ‘We have made it clear to the government to re-introduce EGG to save many companies that are folding up. Some have folded up already. The Vice President has promised us that something will come up soon,” Enyiekpon said. He added that the exchange rate situation in the country had been difficult for business transactions, adding that the introduction of EEG scheme was also useful for the diversification of Nigeria’s revenue base. According to him, the policy recorded a major success with the volume of non-oil exports increasing from $700 million in 2005 to $2.9 billion in 2013. ‘It also led to an increase in value chain expansion in terms of processing and manufacturing capabilities which resulted in significant new investments and job creation in the manufacturing sector,” he said. Meanwhile the CBN Governor, Mr. Godwin Emefiele, has urged business reporters to present the nation’s economy in good light. He noted that foreign investors form their perception about the nation’s economy based on their reports, and financial journalists should therefore be conscious of this. “If you misreport Nigeria, that is the impression everybody is going to have about Nigeria.But if you report Nigeria correctly, then we would improve investment climate. Look at Ghanaian media, not too much noise is made about what is happening in the country.That does not mean that the media in Ghana is not alive to their rsponsibilities.But they try to downplay the negative aspects of the country and promote the positive aspects. So in your professional calling, always endeavour to seek the good side of Nigeria,” he added. Emefiele, who said this in a keynote remarks presented on his behalf by the Director, Monetary Policy Department, Mr. Moses Tule, noted that efforts of the Central Bank transcend its core mandate of monetary and price stability, but involves developmental activities to stimulate growth. According to him, the developmental initiatives become necessary given the fact that the nation is a developing economy with the inherent development challenges. He explained that that informed the decision of the apex bank to devote critical resources via its various intervention programmes such as the N220 billion Agriculture, Micro, small and Medium Enterprises (MSMEs) and in the area of infrastructure. These interventions include the Agricultural Credit Guarantee Scheme Fund (ACGSF), Commercial Agricultural Credit Scheme (CACS), etc. He, however, explained that these interventions do not intend to crowd out financial institutions in credit delivery, but rather as incentives to propel lending at reasonable rates to the real sector.